According to the U.S. Department of Energy (DOE), the average U.S. household spends about $1,800 per year on home energy? NeighborWorks partners with communities across the country to make homes more energy efficient and help keep families healthy and safe. We teach communities how to make sustainable investments and provide support to local organizations practicing green activities. Our green designee program recognizes local NeighborWorks organizations that go above and beyond in promoting energy efficiency in their business and housing practices. Read more. When it comes to being green, families understand the basics: recycle, use less water and turn off the lights when leaving a room. Here are a few more tips to help protect the environment and your health. More tips. Advances in solar energy make it more cost effective and accessible to families than ever before. Learn how our partnership is helping to make it happen. Read more. 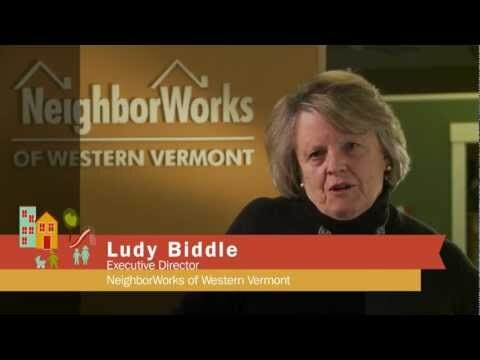 NeighborWorks Western Vermont made home energy rehabilitations accessible to low- and moderate-income homeowners in Rutland County, VT. This helped residents lower their bills, created jobs and kept money in the county. Tenderloin Neighborhood Development Corp. (San Francisco) incorporates strategies in its Green Asset Management Plan to analyze tenant and staff behavior to motivate behavior change. Community Concepts completed more than 180 energy-efficient upgrades in homes, building 14 Energy Star-certified homes and making several improvements at its office locations and rental properties. The Paul Poston Community Garden of New Directions (Louisville, KY) provides much-needed fresh produce to residents in a food desert.